What is Scouting and what makes it different ? Every night more than 50,000 young people attend Beaver, Cub, Scout or Explorer meetings across the UK. Scouting is one of the great ‘brands’ of our age – familiar and trusted in households throughout the country. This is an incredible achievement for an organisation run by volunteers in their spare time. Scouting has been able to adapt and change throughout its history so that it retains a relevance to the needs and aspirations of young people. It does this without losing sight of its core values, enshrined in the Scout Law and Scout Promise. Scouting’s appeal also has a very real resonance with more than 100,000 adults who actively support us across the country on a regular basis. Integrity – We say what we mean and when we make a promise, we keep it. Respect – We listen to others, explore our differences and work to find common ground. Care – Scouts are friends to all and think of others before themselves. Belief – We believe passionately in improving the lives and life chances of young people and helping them explore and develop their beliefs and attitudes. Cooperation – Scouting is about teamwork. We believe that when we work together we achieve more than we can on our own. Scouting is an international movement with over 40 million members worldwide, spread across 216 countries and territories. The number of countries recognising the values of scouting and accepting it’s principles is increasing and there are only four countries in the world who do not offer scouting to young people. Even if we can’t solve all the problems in the world, we can help make it a better place by helping young people to develop as active members of their community who show self-reliance, care, responsibility and commitment. Scouting works well when young people enjoy ‘learning by doing’ working in partnership with adults – taking part in activities and new experiences, exploring the outdoors, participating in teams and taking responsibility. Our method for giving young people the opportunity to ‘learn by doing’ is called the programme. The programme is a seamless progression of training, activities and awards that cover everything that young people should do in scouting from the ages of 6 to 25. All adults in Scouting have a responsibility to make sure that the programme is exciting and fun. We must also make sure it is safe. 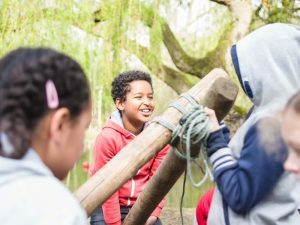 The Scout Association’s policies, rules, code of behaviour and safety are there to help adults make sure that the young people in their care stay safe while they enjoy themselves and learn. To join simply fill in our online enquiry form!